On our weekends adventures we may have just stumbled across our new favourite breakfast spot in Guildford. 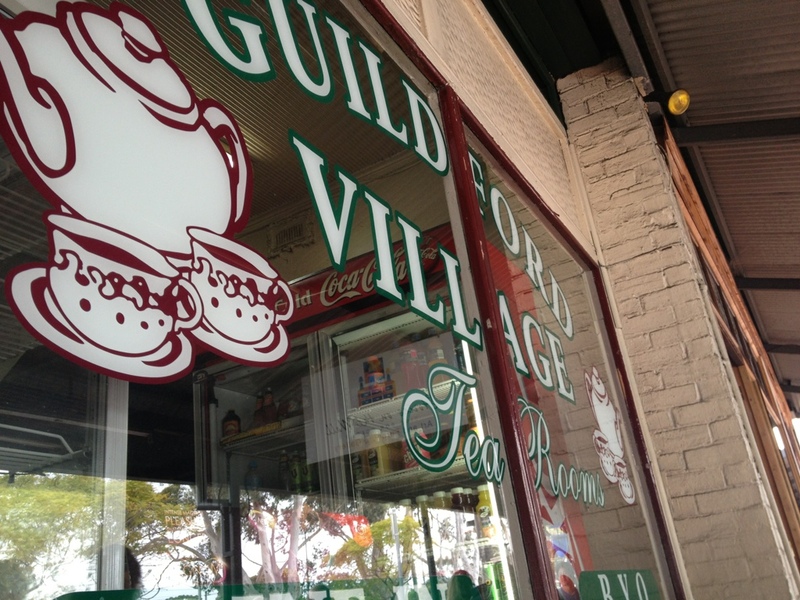 Guildford is one of those old suburbs in Perth. It’s main strip has all kinds of vintage and antique stores, which we explore from time to time. It’s a place that’s full of character and is frequently a stopping point when we have errands to run in the Eastern suburbs. We have tried The Lounge Room before. And although it had the pancakes I was looking for, the Bloke’s meal was cold and uninspiring, which he hasn’t forgotten about quite yet. So we’ve been eating at the Guildford Milk Bar which I think is very uninspiring. My favourite breakfast is eggs Benedict so if a breakfast spot doesn’t make them, it’s an automatic fail in my book. In the spirit of compromise we tried, The Guildford Tea Room. I had my eggs Benedict (although with smoked salmon instead of ham, and bread instead of a muffin, and with cream cheese instead of hollandaise; so not really a Benedict if you look closely) and my Bloke had his ‘big brekky’. And we were both happy. 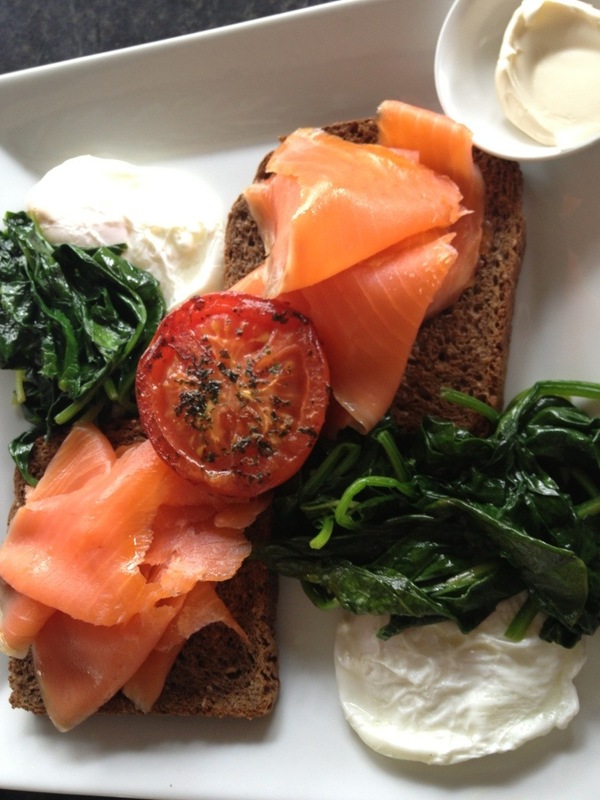 My eggs were gooey and the smoked salmon almost melted on my tongue. The bread was what I think was a rye sourdough. It was my sort of dish. My only complaint was the spinach was a little stringy almost like it was been overwilted. So without even knowing, they managed to please two very different breakfast eaters. My tea was hot, his coffee was lukewarm. We were both happy. 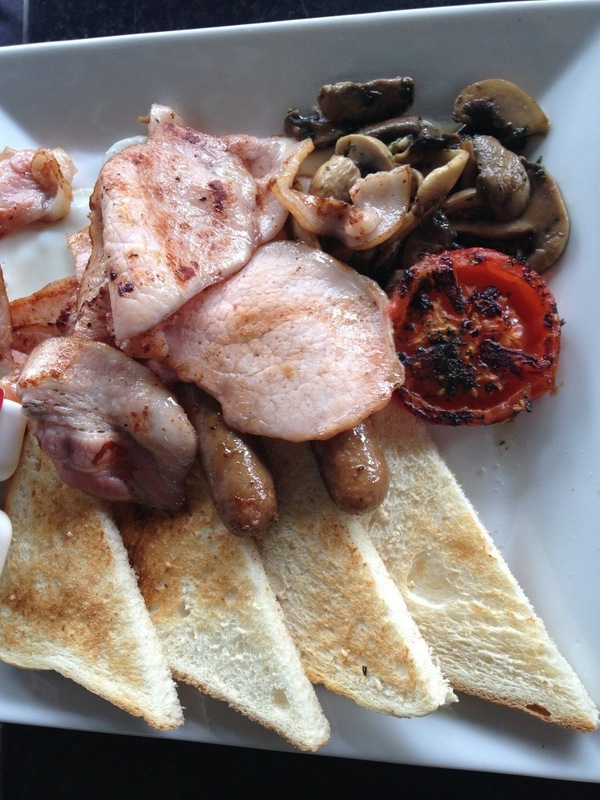 It’s not going to set the world alight, but for a Sunday brunch it ticked both our boxes. We also had to wait before being seated (not too long though), so other people must like it too.